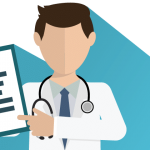 The AHA wants ONC and CMS to “rethink” EHR documentation requirements and evaluate whether certain requirements should be eliminated rather than modified to make documentation more efficient for providers. The American Hospital Association wants ONC and CMS to “rethink” EHR documentation requirements and evaluate whether certain requirements should be eliminated rather than modified to make documentation more efficient for providers. In comments on HHS’s draft Strategy on Reducing Regulatory and Administrative Burden Relating to the Use of Health IT and EHRs, AHA said that ONC should work with EHR vendors to assess the extent to which providers access and use existing required documents for clinic care after record entry to determine which requirements should be eliminated. Any new documentation requirements should be evaluated for their impact on clinician burden. As an example, new requirements for appropriate use criteria for ordering of advanced diagnostic imaging tests place burdens on both ordering and furnishing professionals and facilities. “The AHA remains opposed to requirements that furnishing professionals and facilities include documentation on their own claims that the ordering professional consulted AUC tools,” the comments stated. AHA urged ONC and CMS to explore changes specific to EHR documentation that go beyond high-level changes to evaluation and management (E/M) documentation as well as documentation requirements applicable to provision of care other than e/M visits, such as telehealth. 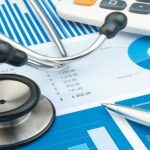 “We continue to believe that the policy CMS finalized to default to level 2 E/M visit documentation requirements in CY 2021 (when the blended payment rate for levels 2 through 4 visits go into effect) will not have a meaningful impact on providers’ availability to spend time with patients,” AHA related. “Specifically, providers still will need to document detailed information about resource use and intensity of services to meet other Medicare requirements, the requirements of other payers, and various legal requirements, as well as to succeed in certain value-based care programs. Therefore, they are unlikely to relax documentation practices across their patient populations,” the association stressed. AHA pushed for the inclusion of representatives from the clinical community, hospitals, and health systems to any task force that ONC might set up to get stakeholder input on updating documentation requirements. The hospital association supported ONC’s effort to reduce the administrative burden of prior authorization (PA) and its recognition that the process lacks standardization and suffers from limited automation because of a lack of adopted healthcare standards for claims attachments. “Our member organizations see firsthand the burdens that come from these manual and labor-intensive processes, as well as the unnecessary, and sometimes unwise, delays and changes in patient care that can result,” AHA wrote. It noted that there are healthcare standards for claims attachments and PA, but industry use of these standards is low, only 12 percent in the case of the PA standard. The group supported ONC’s recommendation to use standardized template, data elements, and standards-based electronic transactions to boost process automation. At the same time, it said that the recommendations could have negative effects from advancing new standards without fully considering the adoption path for the existing standards. 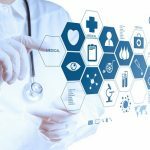 “ONC must build on existing work by first thoroughly reviewing the current standards and including these in ongoing discussions so that the agency does not compromise the work done to develop the HIPAA-mandated transactions for prior authorization and claims attachment or the stakeholders who use them,” AHA stressed. 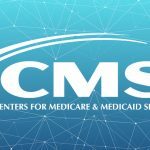 AHA criticized CMS for differences in clinical reporting requirements across the Medicare and Medicaid promoting interoperability programs and urged HHS to take measures to align the Medicaid and Medicare rules. “The lack of alignment is particularly acute in 2019, when Medicaid programs will use more rigid, historical meaningful use criteria, while Medicare has shifted to the more flexible PIP [promoting interoperability program] approach. All providers, and particularly multi-state systems, experience significant burden tracking and complying with varying requirements for reporting across hospitals, clinicians and states,” AHA related. AHA supported ONC’s focus on improving the usability of EHRs but opposed the recommendation that providers spend more money on training. EHR systems developed based on user-centered design principles should be intuitive and enable rapid onboarding and easy adjustment to changes in the software, AHA observed. “We congratulate ONC and its partner agencies on their work to reduce the burden of health IT for providers and stand ready to work with the agency moving forward,” it concluded.